Christmas this year was great -- quick, but great. 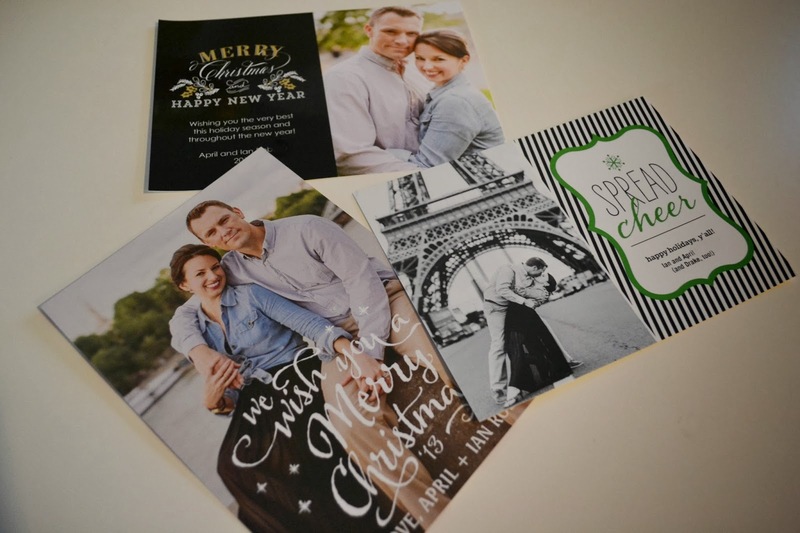 I'm racking my brain, trying to remember if the whole "this holiday season REALLY flew by" mentality is one we adopt in a cliche way each year (and then forget) or if this season really, really was as lightning-fast as it felt. Luckily, Ian's cool with keeping our Christmas decorations up through my birthday this Wednesday. That's one of my birthday wishes each year. I certainly don't get tired of shuffling out of the bedroom each morning to fix a Sugar Plum tea and making a quick detour first to the tree to turn it on and admire its beauty. I love it. This year we went with colored lights which I think really suits our eclectic ornament collection. As you can see, I'm not a themey-tree girl unless your theme is "the crazy look." And the true reason why we went with colored lights is because our white pre-lit tree, only one year old, decided to only light up the very bottom row of lights this year. Too lazy to try to fix it, but too optimistic that one day the white lights may start working again, I just threw a strand of 600 colored lights right on top of the non-functioning white ones. If they ever do start working again, then we have a choice of colored or white! Problem solved. 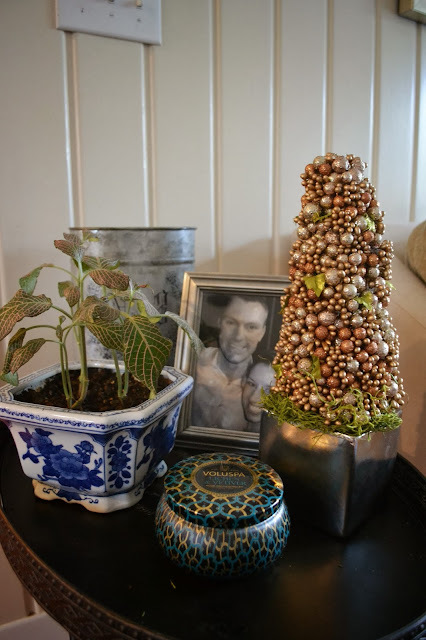 We are rarely in our dining room so I didn't go all out with the decor, but I did keep it decorated simply with some white glittery pinecones, leaves and fruit on top of our hunting print and my beloved Swarovski ornament collection displayed on my gold tree. This year I received my twelfth ornament, and the 2013 snowflake is absolutely gorgeous. 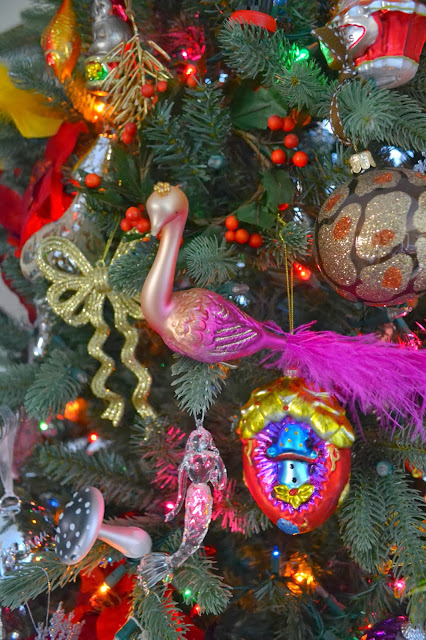 We have a lot of natural light in this room, so it's the perfect spot for these ornaments. 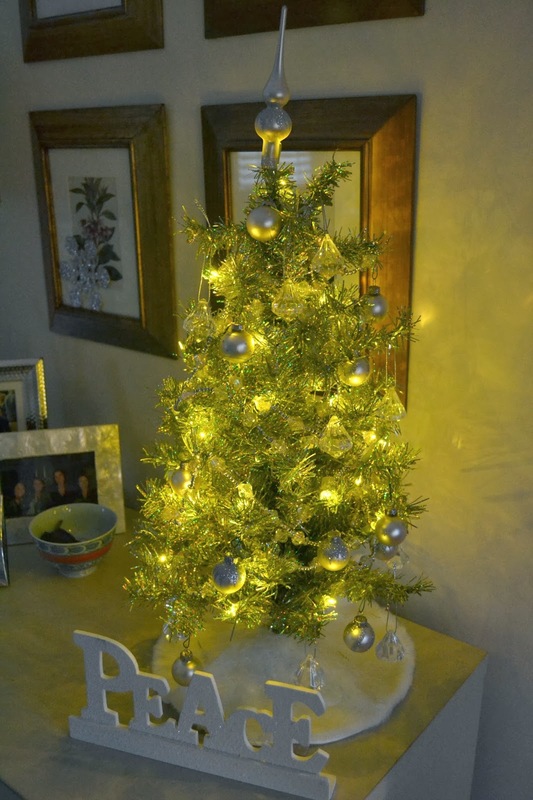 On our chest in our foyer, I have our mini-tree with some silver balls and crystal drops. I also decorated the botanical prints above the chest. Our living room mantle looks so great and I know it will look so bare when the decorations come down! I may start leaving a wreath hanging over the mirror at all times. 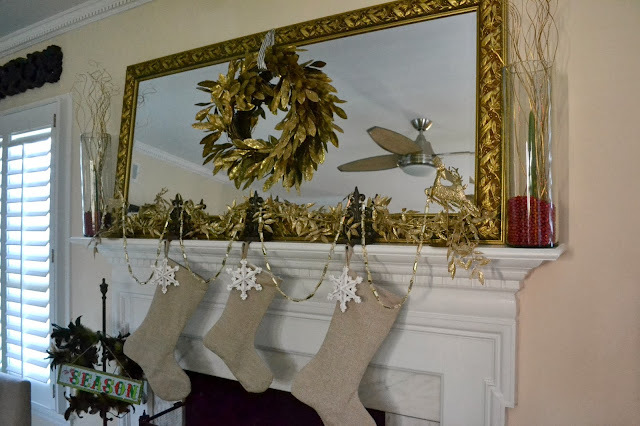 The wreath is from AC Moore and the gold leaf garland and gold bead strands are from Michaels. 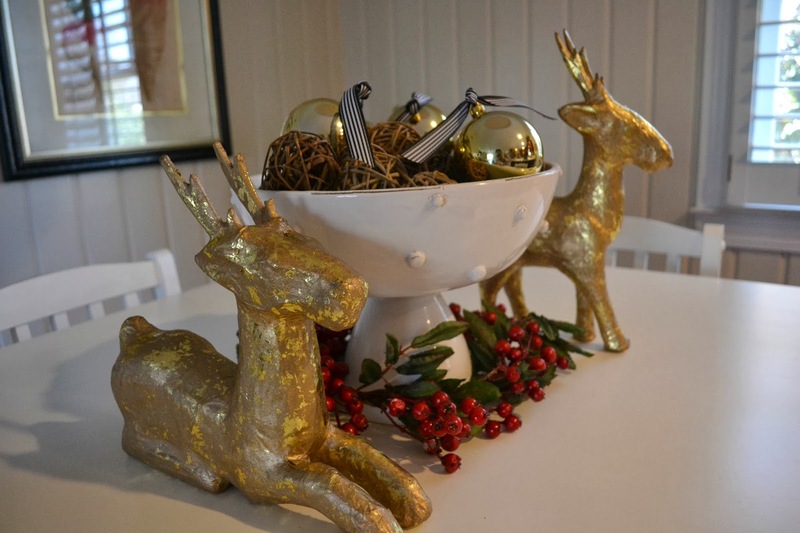 The gold deer are from Target. My mom made our stockings! Once we have a name for Baby Girl, I'll get our monograms embroidered on the stockings. 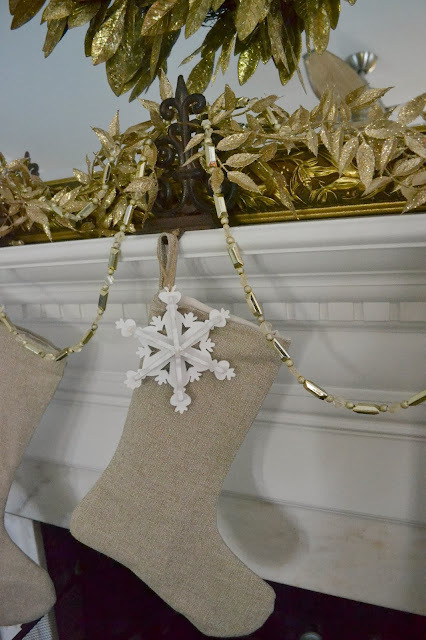 For now, wooden snowflake ornaments from Michaels hang from the stocking holders. 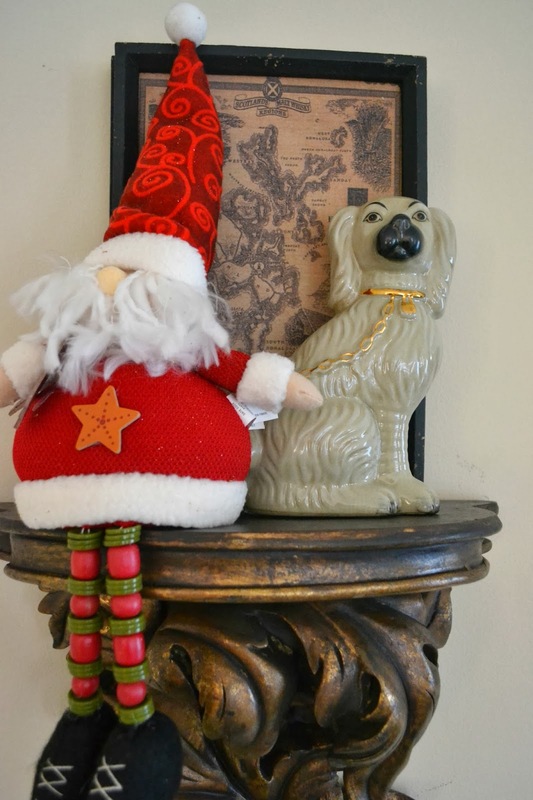 By the way -- most of my holiday decor is purchased at the end of each season for 75-90% off! Our breakfast room table is kept simple with some gold deer (which remind me of my mom), ornaments with black and white ribbon, and some faux cranberry garland. I already mentioned that we chose three different Christmas cards this year based upon sales going on ... the constant between all is that we used our photos that were taken by Stacy Reeves while we were in Paris for our second wedding anniversary. Best money spent ever! 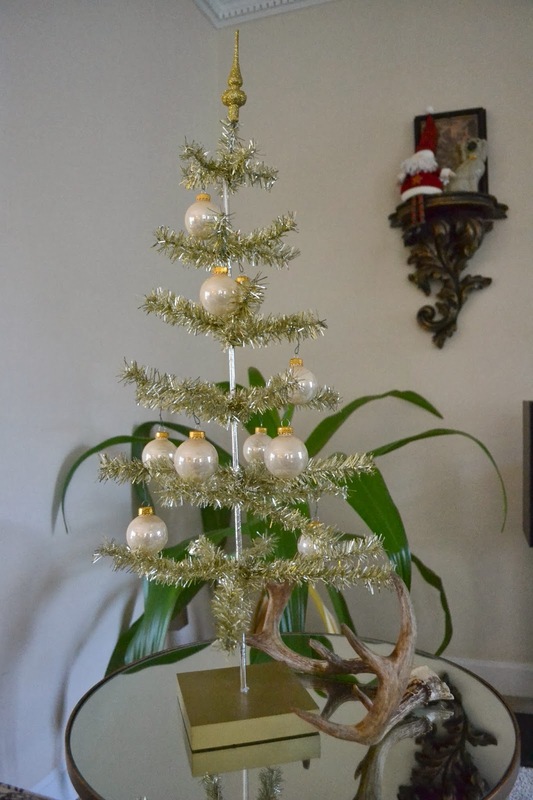 I might need to pump the brakes on my mini-tree purchases but this one in our den is a favorite. It came from Michaels in a gold vase which accidentally shattered a few years ago. Rather than trashing the tree, I just bought a new base for it and stuffed the empty spaces with green moss. I love it even more now! Tomorrow I'll share more photos from our Christmas with family in Columbia! I hope your holiday was nothing short of lovely. I love colored lights and theme-less trees! I keep my decorations up until after NYE. They will prob come down this weekend. Love it all! 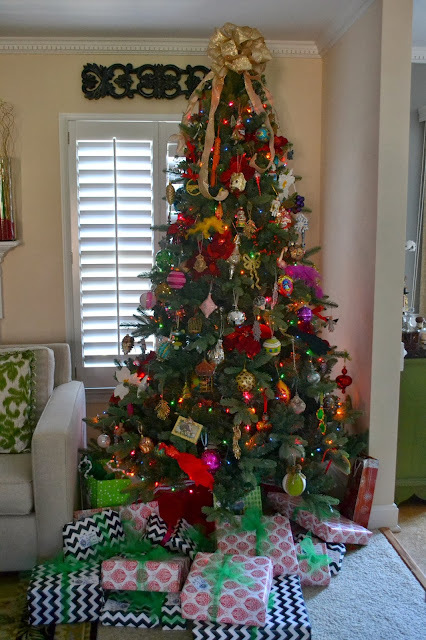 My tree is "crazy look" themed too! Haha :) The Swarovski ornaments are beautiful! I also agree that this year the holidays went by extra fast! 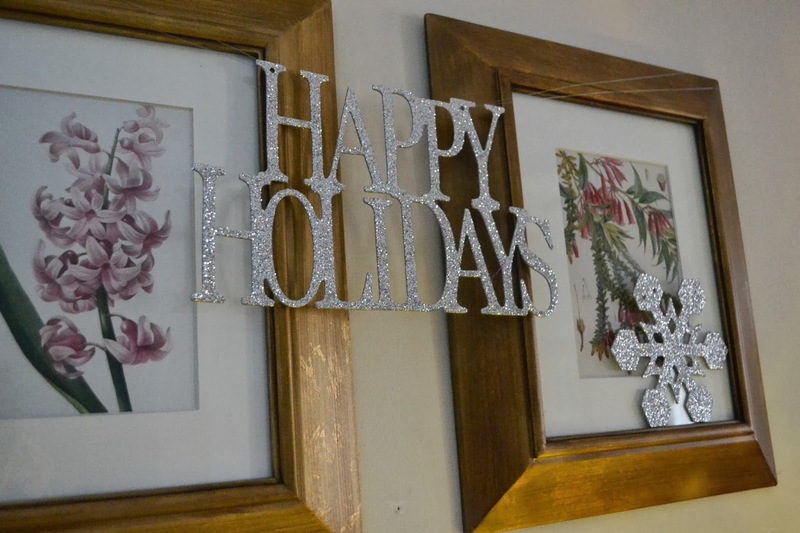 That's great your husband is on board keeping up the holiday decor. Our's is already down thanks to the hubby :/ My tree doesn't have a theme either. Very nice decor! I love an eclectic tree that shows personal ornaments, not a bunch of plain ones. And the mini tree with big pearl ornaments is too cute! Ohh next year that tree will be enjoyed by more pair of eyes! I love the colored lights with your ornaments. So fun! And I LOVE your mantle!!!!! I'm a theme girl. Obviously, everything looks great. Happy New Year and HBD. I love your colorful tree! What beautiful decorations! I just love all the unique ornaments on your tree!! Love the tree... I'm not a theme tree person either lol. when I got married both the hubs and me had a large collection of family ornaments. It is so fun putting them together. Love the Pics from Paris! We are going to Rome for our 2nd anniversary and I would love to do the same. What a fabulous tree!!! And Happy Early Birthday!!!! !